There have been so many exciting scientific discoveries and breakthroughs in the past few years. Most recently, all the buzz is around the confirmation of gravitational waves, theorized by Einstein a century ago. The question for me as an educator is always how to share these important advances in science with students. This post contains affiliate links, please see disclosures for details. How does one explain a concept like gravitational waves to the very young? Particularly if you have to read several articles on it yourself to feel like you've grasped it?! Good news: you don't. No, I'm not saying that young children are not capable of learning difficult concepts, nor am I saying that science is not an important part of early childhood and elementary education. However, I am saying that what is more important when teaching kids in the years before middle school is laying a strong foundation in the sciences so that they can grasp all of these cool scientific advances when they read about them in their future textbooks. When I was a science specialist for Preschool through 6th grade, I was often met with the incredulous response of "You teach 3 and 4 year olds science?!?" as if the idea of it was crazy. Yes, I do, and it's a lot of play and discovery. 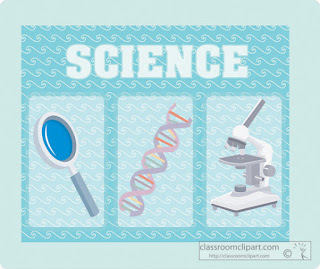 I think many people hear science and can only think of lab coats and Bunsen burners. When you teach at this level you are building the foundation that students will pull from in the more advanced years of their education. Science at this age has so much to do with forming kids' understanding of the world around them. So let's unpack the discovery of gravitational waves for the little guys. What basic science concepts are inherent in this topic? How can we build on understanding as they continue their education? Gravity: Young children do not feel the need to wait until science time to experiment, they are constantly experimenting. They've learned about gravity through learning to walk, building towers and knocking them down, building more towers and knocking them down...they might not have the vocabulary term for it, but they are already beginning to understand the concept of gravity. There is no reason not to introduce the vocabulary to go with their exploration. Use fiction books such as Sheep in a Jeep by Nancy Shaw and non-fiction stories like I Fall Down by Vicki Cobb to explore the concept further. 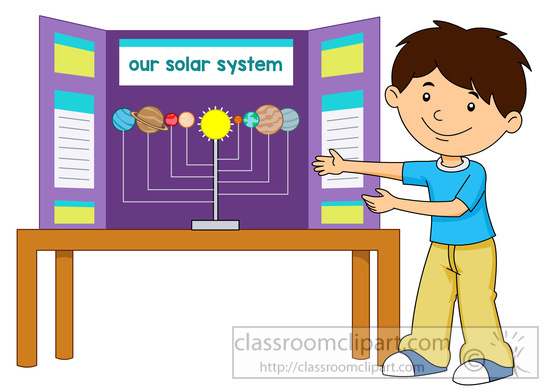 Space: Explore the objects of space, starting at this age with the planets and the sun. Developmentally the idea of scale is a difficult one at this age. However, you can begin to show that some planets and space objects are larger than others, laying the groundwork for when scale is more comprehensible. Waves: Students may have experienced waves at the ocean, or in the bathtub. Introduce the idea that there are other types of waves, some that we can't see. At this age, use sound as an example. Although we may not be able to see sound waves as they move from an object to our ear, we can see vibrations. One of my favorite fun and messy ways to "see" sound is to tap a tuning fork and then dip it in a basin of water. It will make fun splashes and ripples. Check out these other ways of seeing and feeling sound on my Pinterest board, "Sound Science"
Gravity: Elementary students are better suited to begin to understand the concept of gravity beyond objects falling down. Try these gravity activities with elementary students. Some elementary book suggestions for exploring gravity are Gravity by Jason Chin and Gravity is a Mystery by Franklyn M. Branley. Space: This is the perfect age to begin building those to-scale solar system models on the playground. Students are better able to understand scale at this age (although it is still far from an easy concept!). They also love to learn about new things, so adding other space objects like asteroids, dwarf planets, etc. can be fun. You'll find seemingly infinite resources from NASA on their website. Waves: You can now add light to your study of waves, in addition to sound (although those activities are still fun and useful here!) Try this activity, Big Wave, from the Center of Science and Industry to explore waves. A great early elementary book for studying the properties of light waves and reflection is I See Myself by Vicki Cobb. 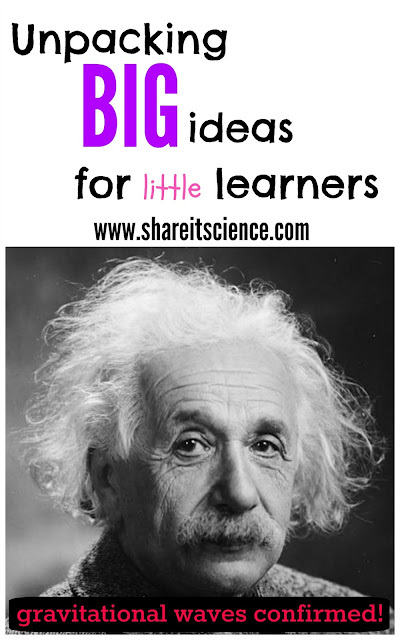 Einstein: Elementary is a great time for biographies. Inspire students with how Einstein's ideas and theories have held on and discoveries are still being made 100 years later. Try On a Beam of Light: A Story of Einstein by Jennifer Berne, and I Am Albert Einstein: Ordinary People Change the World by Brad Meltzer. Gravitational Waves: At this point, students are poised to learn and understand current events like the confirmation of gravitational waves because of the strong background they've developed if they have been learning concepts like those we've outlined here. 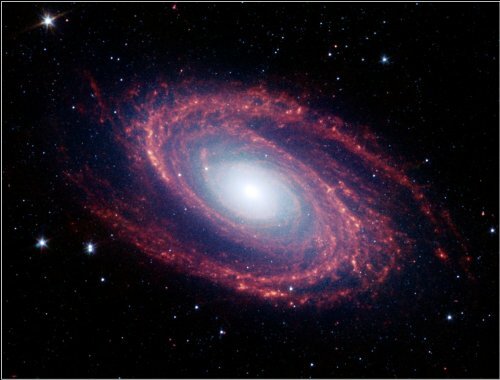 Science News for Students: Gravity Waves Detected at Last! Super Novas and Black Holes: Along with concepts like the Big Bang, pulsars and binary stars, super novas and black holes are not only interesting to study, but are applicable to the study of gravitational waves. Try these hands-on activities to further explore these concepts. Einstein: Some books for early middle school: Who Was Albert Einstein by Jess Brallier and Albert Einstein and Relativity for Kids: His Life and Ideas with 21 Activities and Thought Experiments by Jerome Pohlen. A is for Asteroid?! 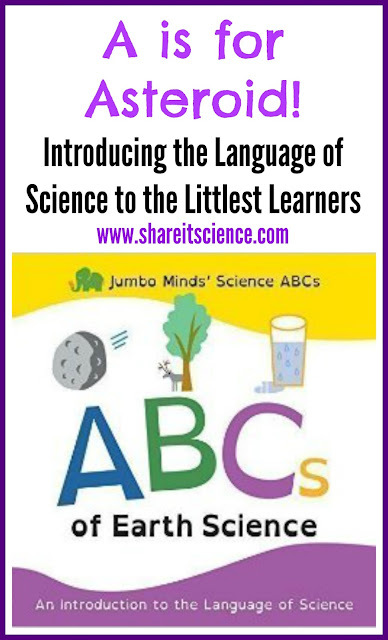 It is in the ABCs of Earth Science, part of the Jumbo Minds' Science ABCs book series. In this book, illustrated with bright, bold colors, each letter of the alphabet is paired with an Earth Science vocabulary word and definition. 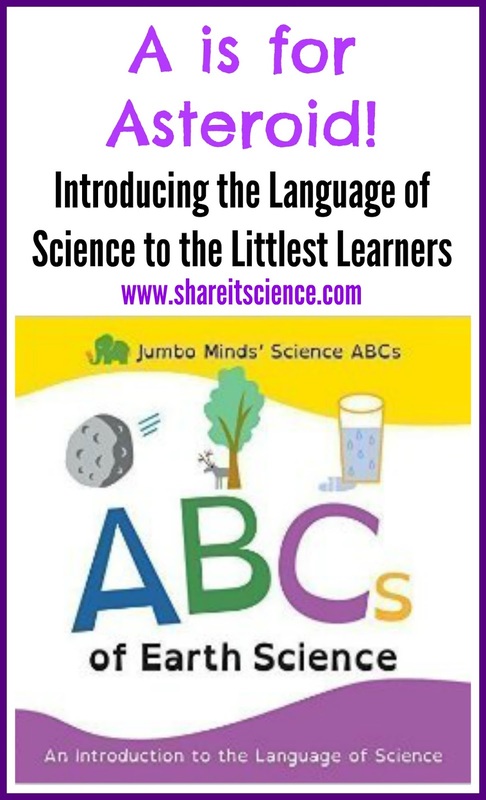 This book series, that also includes the ABCs of Biology, Chemistry and Physics is based on the idea that children's capacity to learn new concepts and vocabulary at a young age is so great. Why not incorporate science into their study of the alphabet? A isn't just for Apple after all! 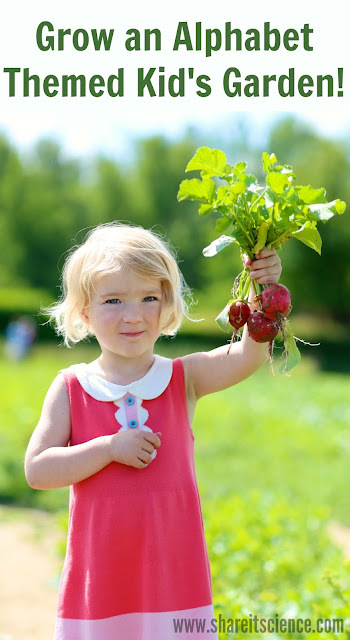 As an early childhood science teacher for many years, I found that young children are indeed capable of learning the words used in science when they are paired with age appropriate activities. You don't have to be teaching rocket science to help build a strong foundation for the later years in science. Using vocabulary like "hypothesis" and "observation" from the get-go allows students to accurately convey the process of science in experimentation through play or classroom science activities. Teaching the alphabet through science fits perfectly into my early childhood teaching philosophy. The ABCs of Earth Science would be a great book to use along with any early childhood science or alphabet curriculum. Introduce cloud types while reporting the weather during morning calendar activities, N is for Nimbus! Teach the difference between rocks and minerals when you set out the rock collection in the science center, M is for Mineral and R is for Rock. Although designed for a young audience, the definitions in the book accompanying each letter of the alphabet are not watered down. This makes the ABCs of Earth Science useful in the elementary classroom as well. 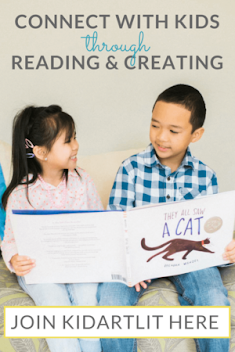 In addition to the kid-friendly illustrations, the text is designed for all learners using a dyslexic-friendly font to increase readability. This is certainly a series I will recommend to my colleagues who teach in the early childhood classroom, and for families with young children. 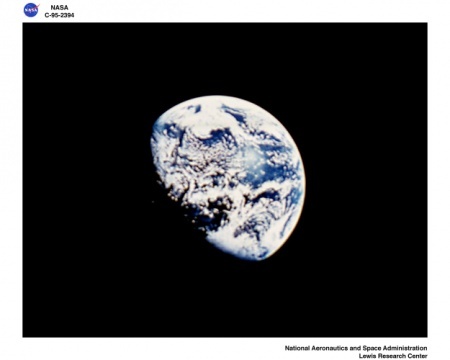 A copy of ABCs of Earth Science was provided by the publisher for review, however the author was not compensated in any other way for this review. All opinions in this post are those of the author. February 12th is Charles Darwin's birthday, now known as "Darwin Day". This is a great opportunity to thank Darwin for his contributions to science and learn through some great adaptation and natural selection activities. 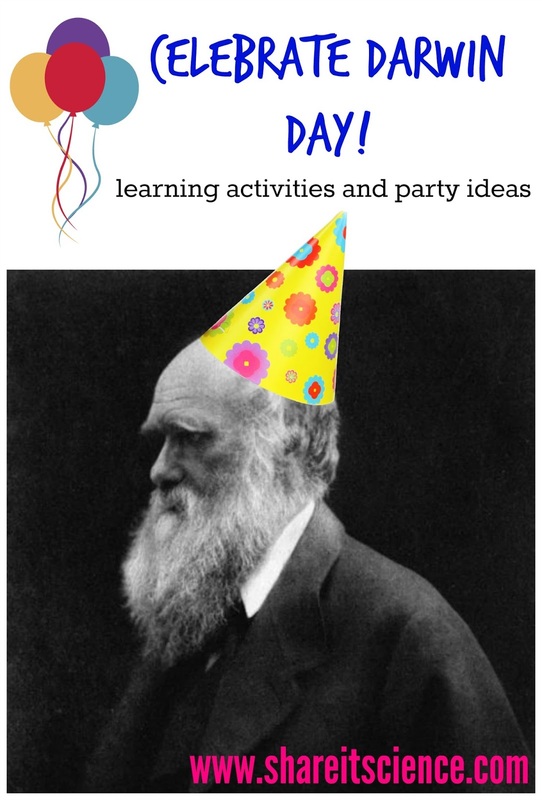 Who knows, you might even want to throw a Darwin Day party! 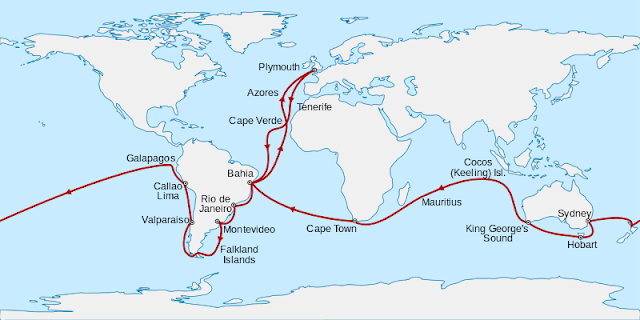 Charles Darwin is known for summing up evidence for the theory of evolution and developing the theory of natural selection through his travels on the HMS Beagle. His book, On the Origin of Species, shaped modern biology and evolutionary theory. Some of Darwin's most interesting work, and what I believe to be the best introduction point for children, was on the diversity of species, particularly the adaptations of island finches. Voyage of the HMS Beagle. 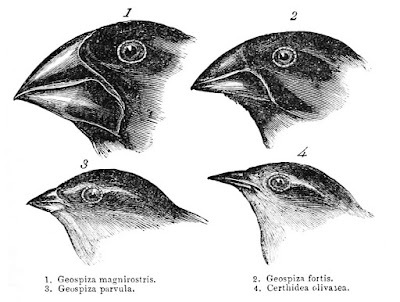 Darwin observed the finches on the Galapagos islands and found that their beaks varied due to the different types of food and environments on each island. Variation is not only seen in bird beaks around the world, but across bird species. A wonderful hands-on way to engage students in the idea of adaptation is to have them model how these various bird beaks work. There are many activities where this is explored. In general, the idea is that you provide your class with various items that will serve as "beaks", straws, nutcracker, ladle, chopsticks, etc. The students try to forage for food items with these different beaks. You may provide things like gummy worms in soil, goldfish in water, sunflower seeds to crack, etc. You can get creative with this, keeping in mind you want to model something fairly realistic to nature. Many of the items you use can easily be found around the house. 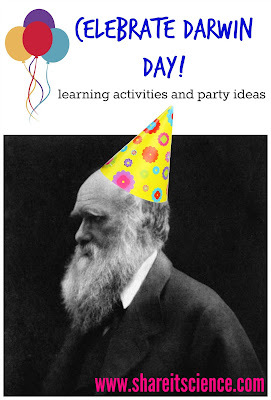 Wouldn't it be fun to throw a Darwin party after you explore adaptation science? Here are just a few fun ideas for you! Read the book, Who Was Charles Darwin? Give out Darwin buttons as party favors! Decorate with life size Darwin decals and cardboard cut-outs! Have a talented actor come portray Darwin and answer student's questions. Combine your Valentine's and Darwin celebrations by handing out some Charles Darwin valentines. Visit a local museum that is holding a Darwin Day celebration! Search for events here. Are you celebrating Charles Darwin Day? We'd love to hear all about it! Comment below or connect with us on social media, links available at the top of the page. 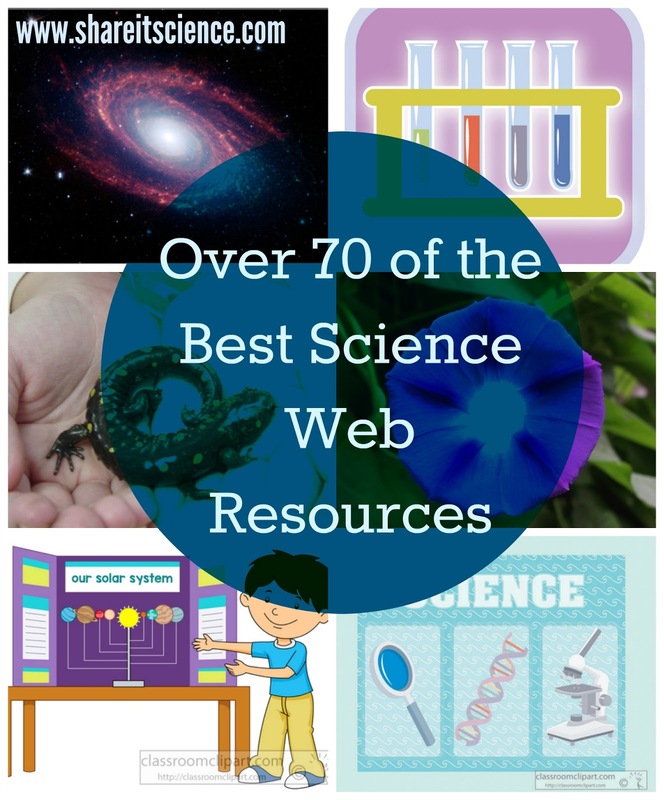 There are so many excellent resources on the web that they can sometimes become overwhelming. I've collected suggestions from colleagues and friends in the teaching field, researched and included favorites from my own teaching experience to create this list of great science resources. No doubt there are other great ones out there, but this is an excellent launching point for teachers, homeschoolers and science-lovers. These are grouped by topic, but otherwise in no particular order! Do you have a great site to add to this list? Found a broken link? Be sure to include it in the comments section below, e-mail us at shareitscience@gmail.com, or connect with us on Facebook, Twitter or Google+. Animal Diversity Web This is my go-to place for animal information. An indispensable resource from the University of Michigan!! Global Invasive Species Database Search what is invading and where! PHET Interactive Science and Math Simulations Many simulations for physics concepts! Stellarium Free downloadable planetarium software. 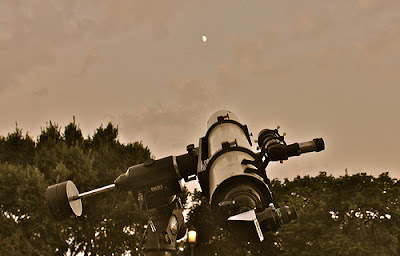 Excellent for teaching astronomy, particularly if you are in a light-polluted area! Science Buddies excellent source of experiment ideas, including a wizard to help you choose a science fair topic! Exploratorium Explore science snacks, activities, blogs, sooo many resources here! American Museum of Natural History Curriculum Collections from deep sea vents to dinsaurs, lots of great curriculum here! Science Netlinks Tools and lessons for K-12. Always tons of links to augment what you are already studying! ReadWriteThink This is a literacy site, but it's a great way to integrate your curriculum. 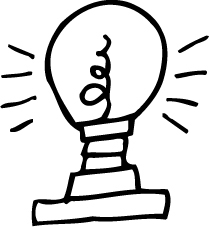 Search a science topic and there is a good chance there will be something related and linking your topic to language arts. Planting Science Scientists providing online mentorship to student teams involved in inquiry projects. Share it! Science News Yes! we are a great resource for lessons, activities, current events and science ideas! Ask Dr. Universe Kids can submit science questions for Dr. Universe (a very knowledgeable cat) answers them. You're bound to learn something fascinating when you stop by here! KC Edventures Kids activities, family travel and fun ways to learn. Although not always science related, there are often science themed posts. Penguin Watch help monitor penguins in remote locations right from the comfort of your house!